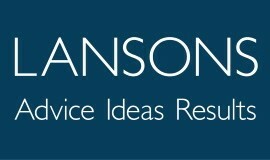 Lansons is a reputation management firm, specialising in corporate, employee, media and political communications. It is one of the UK’s top ten independent communications consultancies and has a reputation for excellence. Its ability to handle sensitive client information is paramount as is the need to access files at any time of day from around the world. When working remotely, Lansons consultants now benefit from highly secure access to networks and applications. With clients all over the globe, Lansons’ consultants need to be able to communicate 24/7 whether from home, train or different locations during the day. Confidentiality is of paramount importance as their consultants very often deal with sensitive client information. Lansons wanted an authentication solution that would be flexible, offer protection against modern threats and be easy to administer. Trilogy implemented SMS PASSCODE a virtualized desktop solution, which integrated with Citrix VDI-in-a-box and synchronised with Active Directory making it easy to add users. With a small IT department, it was vital for the authentication solution to be easy to administer so it wouldn’t have an adverse effect on the team’s productivity. SMS PASSCODE has been integral in helping Lansons achieve its security objectives and ensuring the desktop environment is safe, secure and protects client information. People have their mobiles with them all the time, so a security solution delivered through the mobile phone was perfect.
" In an environment where the protection of client information is an absolute priority, it was unthinkable to consider securing our systems with passwords alone, we wanted to provide staff with the flexibility of remote working without compromising our security. "